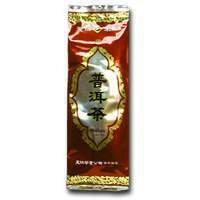 Pu-Erh tea, a famous and preferable beverage in Southeast China, is an after effect fermented tea. When brewed, it produces a bright dark-red color, strong and full taste. Greatly enjoyed by drinkers both at home and abroad.